The statement above comes from John Podesta (you can find the source for this quote, and more from Podesta on UFOs in this article), Chief of Staff for Bill Clinton and Counsellor to Barack Obama. It’s a powerful statement, because it’s true. We now have witness testimony from hundreds upon hundreds of high ranking, very credible people from within politics and government, military, and intelligence agencies saying that the UFO and extraterrestrial phenomenon is indeed real and deserves serious attention. But it’s not just the UFO/extraterrestrial phenomenon that seems to be gaining more transparency. Strange things have been observed in space. Perhaps this is why the Russian government recently called for an international investigation regarding the missing film footage of the U.S. moon landings, or why a U.S. Defence physicist and the Deputy Manager of the Clemintine Mission to the moon recently blew the whistle on what’s really up there. Major General Albert Stubblebine can be added to the long list. Although he did not participate in the Citizens Hearing On UFO disclosure (where a number of military, political, academic, and government personnel testified to several former congressional members), his credentials speak for themselves. 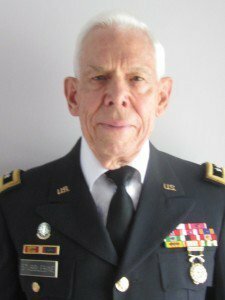 General Stubblebine is a retired United States Major General. He was also the Commanding General of the U.S. Army Intelligence and Security Command (INSCOM), and one of America’s most distinguished soldiers and chief of U.S. Army Intelligence, with 16,000 soldiers under his command. He was a major proponent of “psychic” warfare and a key player in the “Stargate” project, which was a remote viewing program. Remote viewing can be defined in multiple ways. It’s the ability of individuals to describe a remote geographical location up to several hundred thousand kilometers away (sometimes even more) from their physical location. The results of this project were declassified and published in the peer reviewed Journal of Scientific Exploration. (source) In this program, individuals successfully described physical objects that were nowhere near their physical location. Here’s what General Stubblebine had to say about Mars, perhaps thanks to some intel from the Remote Viewing Program? I’ll let you think about that for a moment. Is it really that farfetched? With all of the recent UFO/extraterrestrial phenomenon disclosure happening within the past few years, is it really hard to fathom the existence of structures, bases, etc. on the Moon and on Mars? Angie Fann Kenney liked this on Facebook. Anthony L Malovrh liked this on Facebook. Jerry Hamilton liked this on Facebook.